Sweet and sour is one of my favorite flavor combinations. It perfectly describes my personality. And although I never tried cranberry sauce until I began attending the annual Thanksgiving potluck at my in-laws’, I fell hard for it right away. 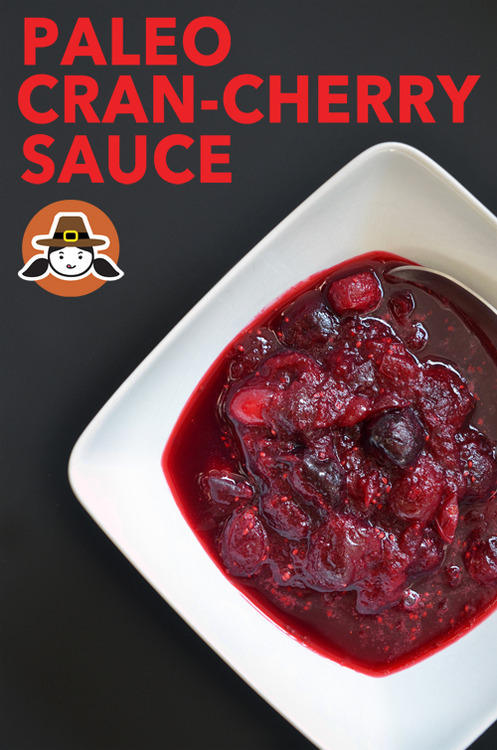 It didn’t matter if I got a dry piece of turkey breast; a dollop of tangy cranberry sauce would make it all better. 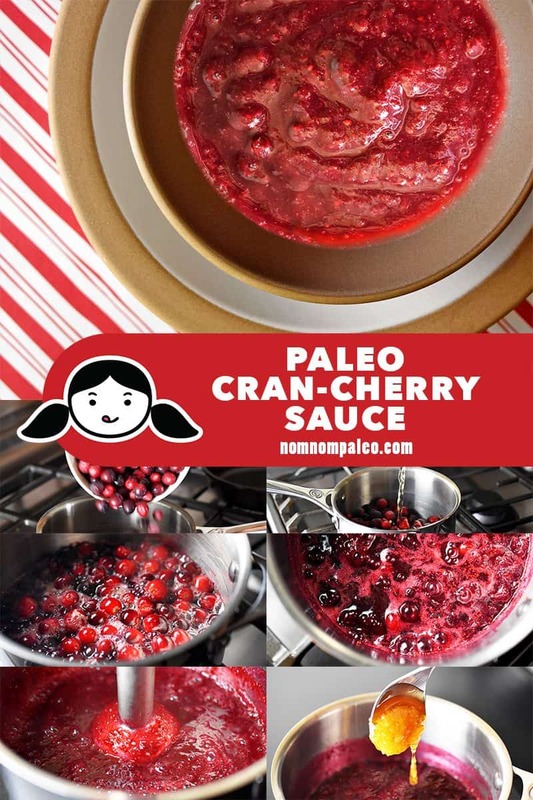 But sadly, once I started eating Paleo, I had to skip the cranberry sauce altogether. After all, I knew that most recipes are sweetened with LOADS of white sugar. 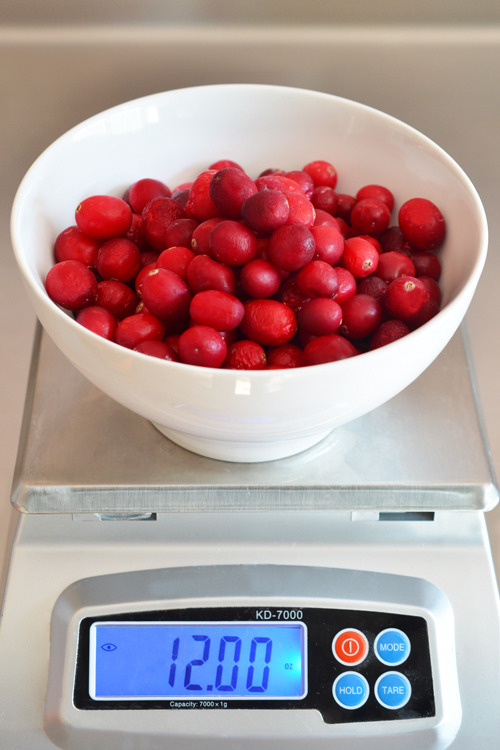 But this year, I was determined to come up with a Paleo and Whole30-friendly version of cranberry sauce—one inspired by the cranberry-cherry-apple juice blends from my childhood. 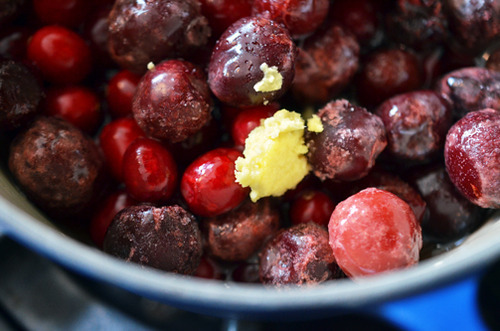 By themselves, cranberries can be unpalatably bitter and sour. 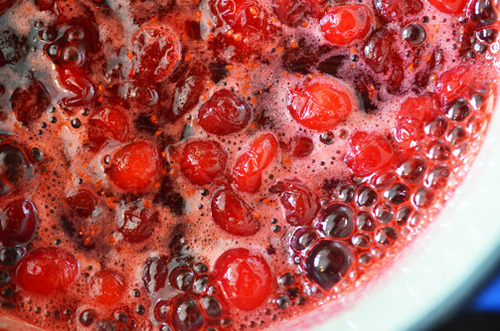 But by adding an equal amount of cherries and simmering the fruit in apple juice, I was able to counter the mouth-puckering tartness of the cranberries with some natural sweetness. 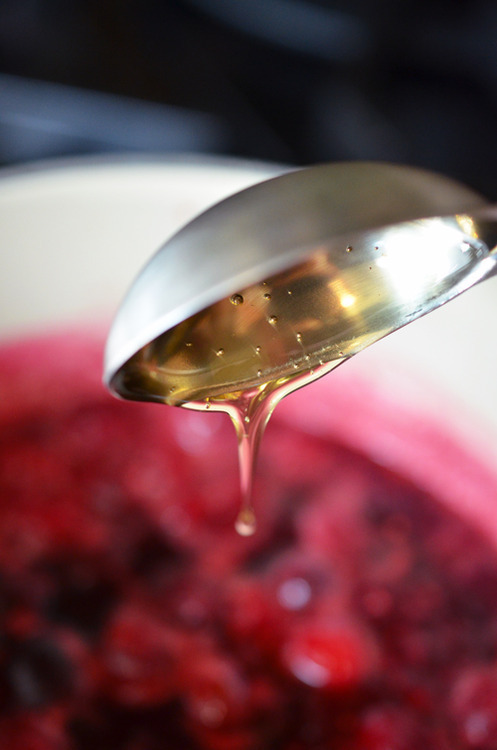 Prefer a sweeter sauce? Just a touch of honey will do the trick. 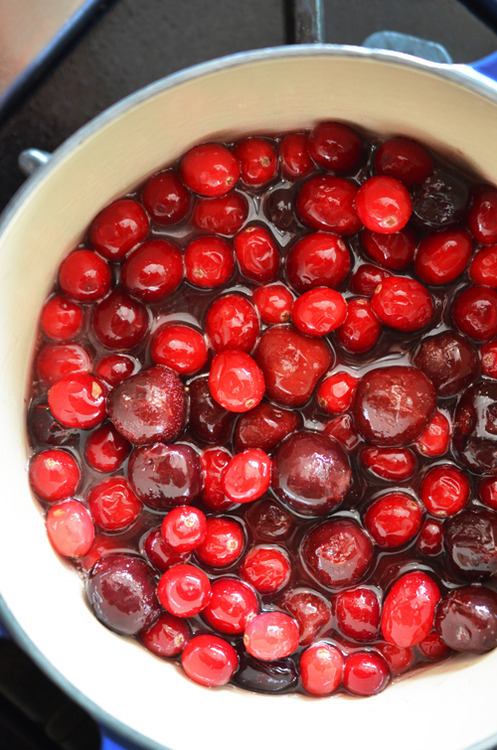 And if you make this Cran-Cherry Sauce a day ahead and allow the flavors to meld further, it tastes even better. In fact, you can make this dish a week ahead and it’ll still be awesome! 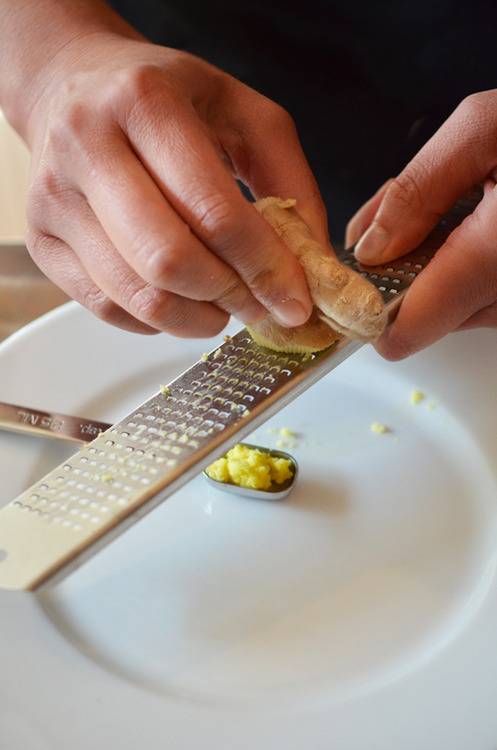 …and place them in saucepan. …and then reduce the heat to maintain a simmer. 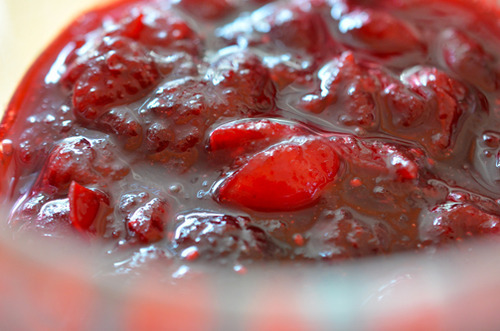 Cook the sauce for 8 to 10 minutes or until it’s thickened and the fruit has broken down. Taste for sweetness and add honey if needed. 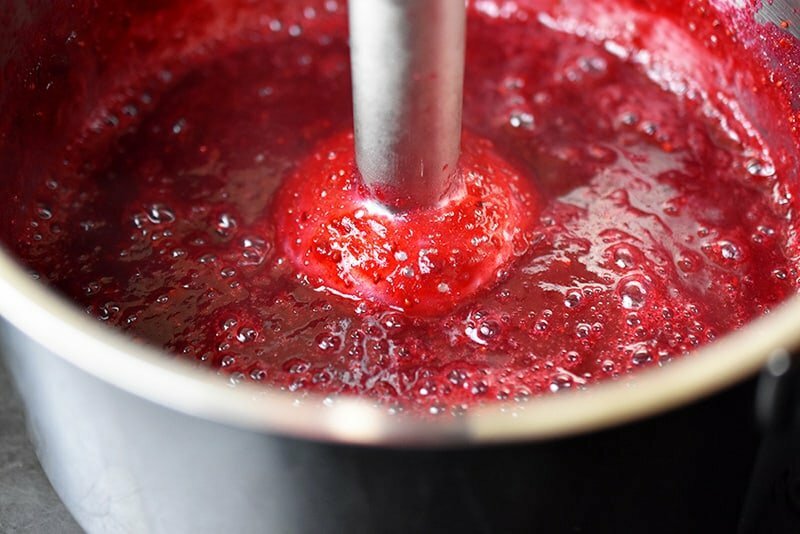 If you prefer a smoother sauce, blitz it with an immersion blender! Cool to room temperature and serve with your Turkey Day dinner—or better yet, make it up to 5 days in advance and keep it in a tightly sealed container in the fridge. 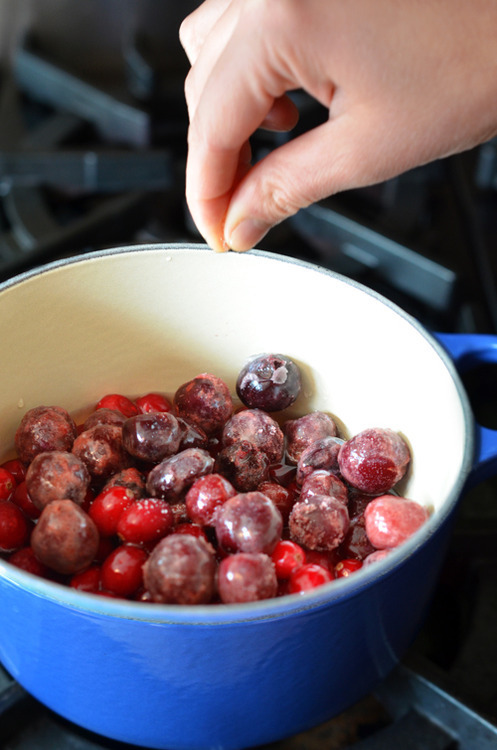 This Paleo and Whole30-friendly version of cranberry sauce—inspired by the cranberry-cherry-apple juice blends from my childhood—is perfect for your Thanksgiving feast. 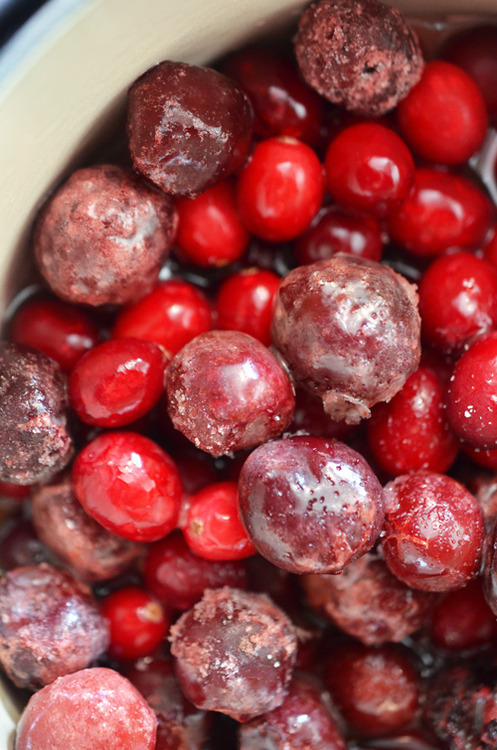 By themselves, cranberries can be unpalatably bitter and sour. 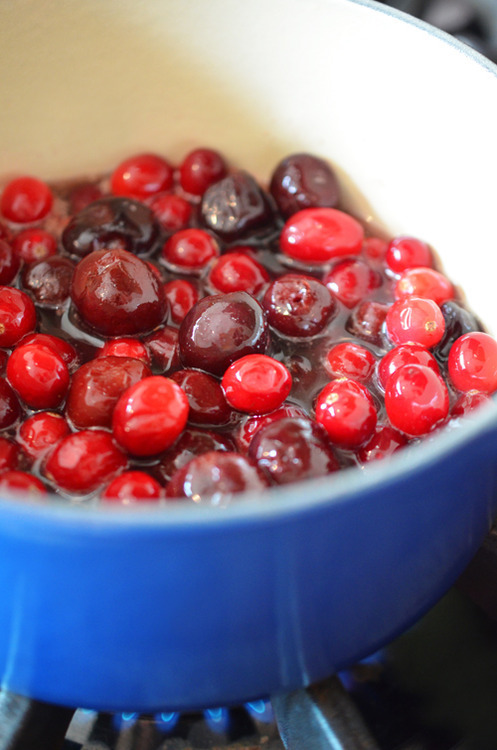 But by adding an equal amount of cherries and simmering the fruit in apple juice, I was able to counter the mouth-puckering tartness of the cranberries with some natural sweetness. Prefer a sweeter sauce? Just a touch of honey will do the trick. 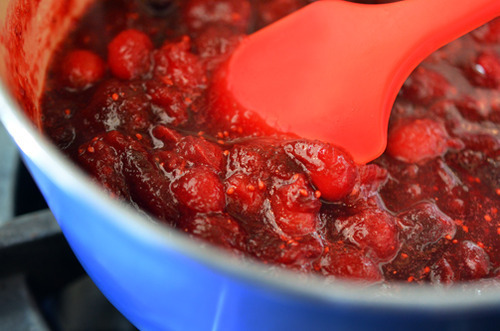 And if you make this Cran-Cherry Sauce a day ahead and allow the flavors to meld further, it tastes even better. In fact, you can make this dish a week ahead and it’ll still be awesome! 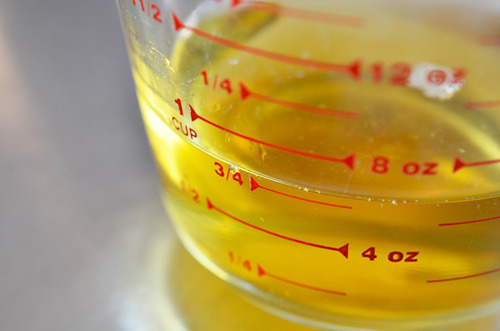 Pour in the apple juice, minced ginger, and a pinch of salt. Bring the contents of the pan to a boil over high heat, and then reduce the heat to maintain a simmer. 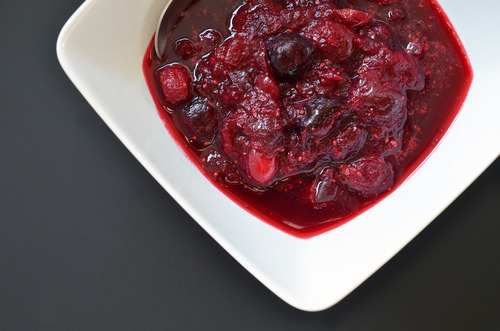 Cook the sauce for 8 to 10 minutes or until it’s thickened and the fruit has broken down. 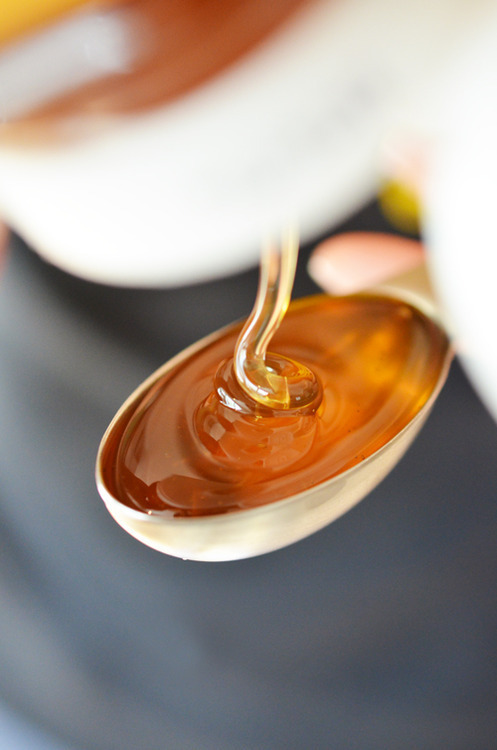 Taste for sweetness and add honey if needed. Cool to room temperature and serve with your Turkey Day dinner—or better yet, make it up to 5 days in advance and keep it in a tightly sealed container in the fridge.